In March 29, 1882, the Connecticut state legislature officially chartered the Knights of Columbus, a fraternal benefit society founded by Father Michael J. McGivney with a group of parishioners in the basement of St. Mary’s Church in New Haven. 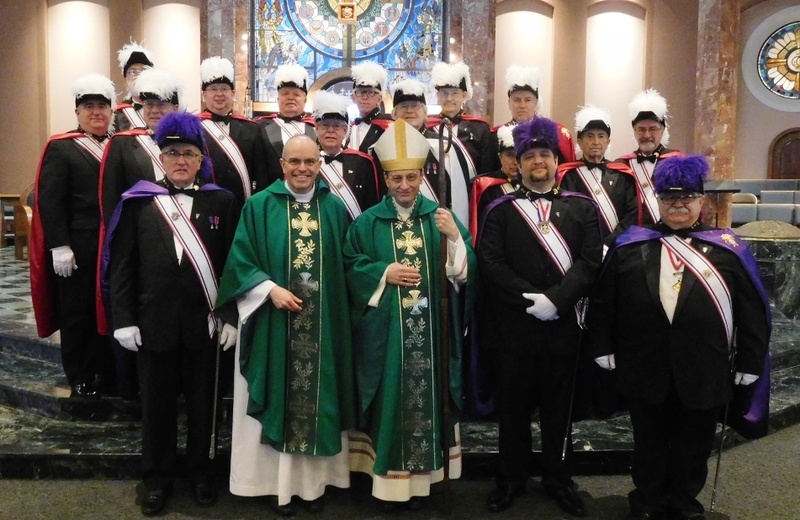 Still true to its founding principles of charity, unity, and fraternity 125 years later, the Knights of Columbus has grown to the largest lay Catholic organization in the world with more than 1.7 million members. Throughout its history, the Knights of Columbus has been an effective advocate and defender of civil and religious rights for all. The organization has also contributed billions of dollars and millions of hours of volunteer service to charity. Council #2287 was founded through the efforts of the men of St. Aloysius in 1921 and is named after Father John H. Stapleton. Our council works closely with the members of the parish as well as the surrounding areas. We also provide funds for various projects in the church, local community as well as larger charitable endeavors. Our regular meetings for members are held on the 1st Monday of every month at 8pm from September to June. Membership in the Knights of Columbus is open to practicing Catholic men in union with the Holy See, who are at least 18 years old. A practicing Catholic is one who lives up to the Commandments of God and the precepts of the Church. Application blanks are available from any member of the Knights of Columbus. The current Grand Knight is JD Piro. Email us for more information. Click here for a link to Knights of Columbus Website.